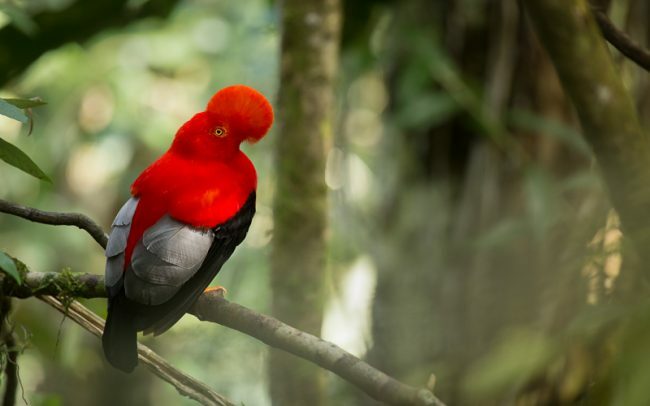 Rare, stunningly beautiful, elusive, and limited to the remote and mist-draped cloud forests of Central America, this bird, with its shimmering golden green and blood-red feathers. 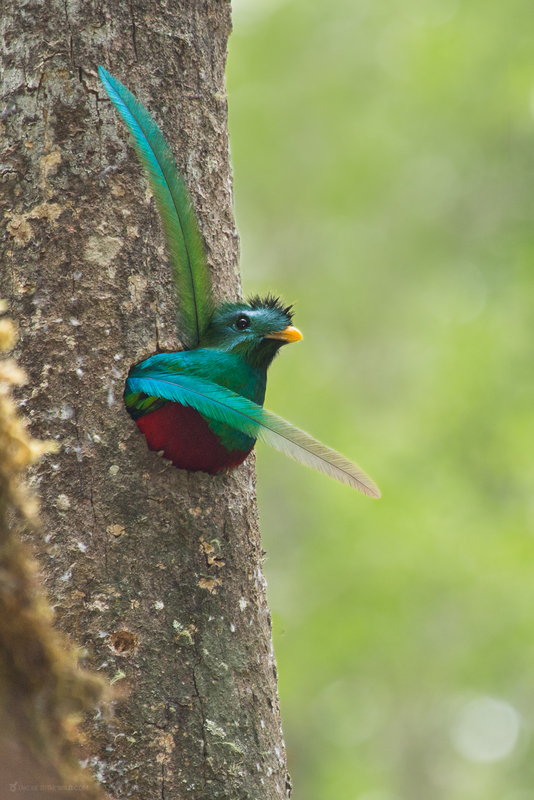 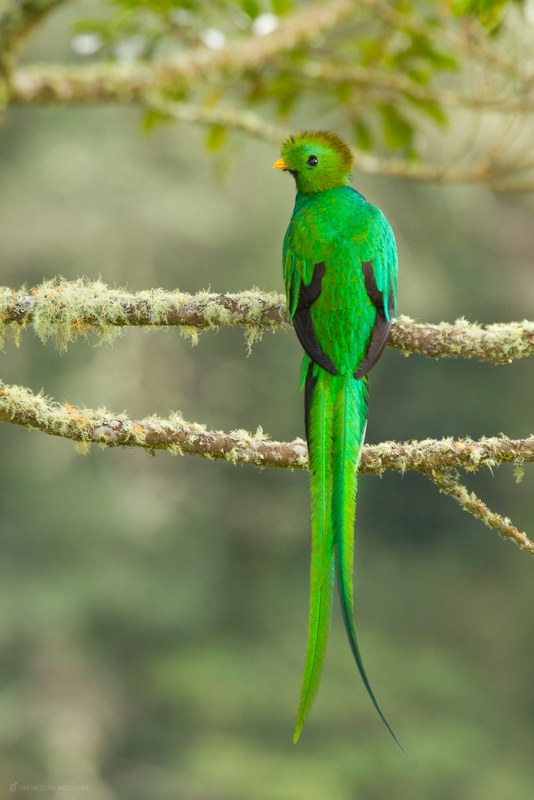 For centuries the Resplendent Quetzal (Pharomacrus mocinno) dominated the traditions and beliefs of the Maya and Aztec. 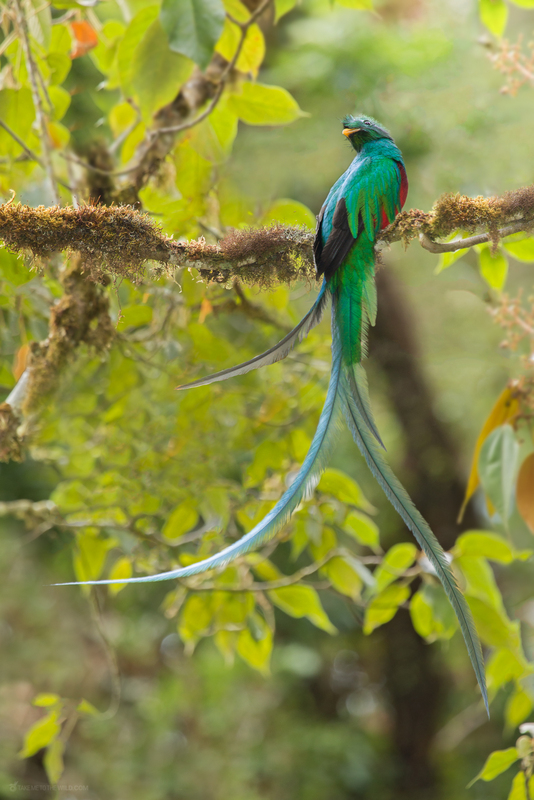 Quetzalcoatl, the cultural force for good for both Mayas and Aztecs, was symbolised by the head of a serpent adorned with the feathers of a Resplendent Quetzal. 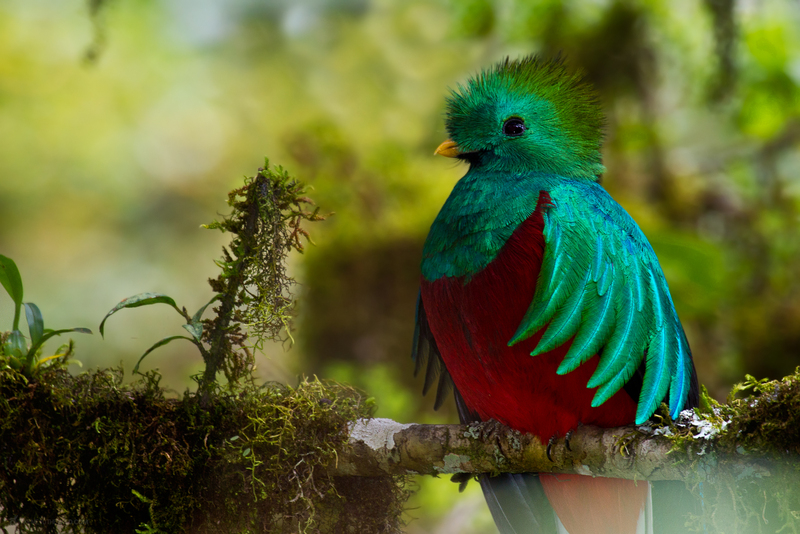 Resplendent Quetzals main habitats are the Cloud Forests. 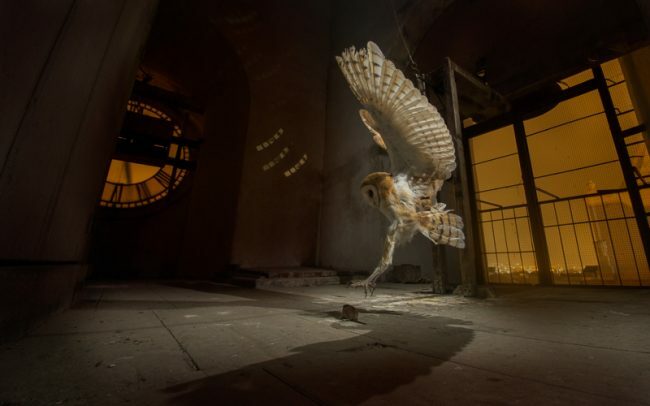 Incredible and hypnotic places, worlds of mist and mystery, haunted landscapes forever cloaked in fog and secrets. 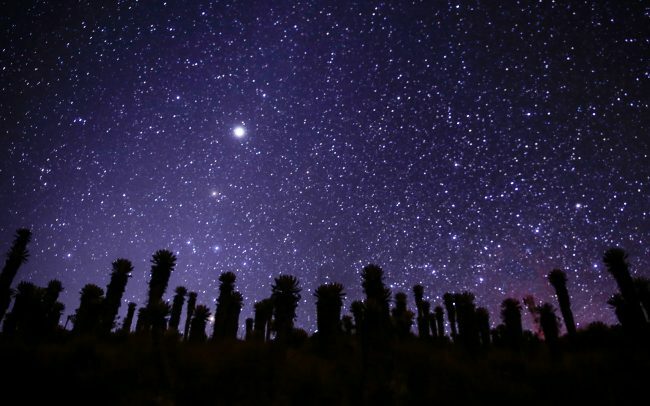 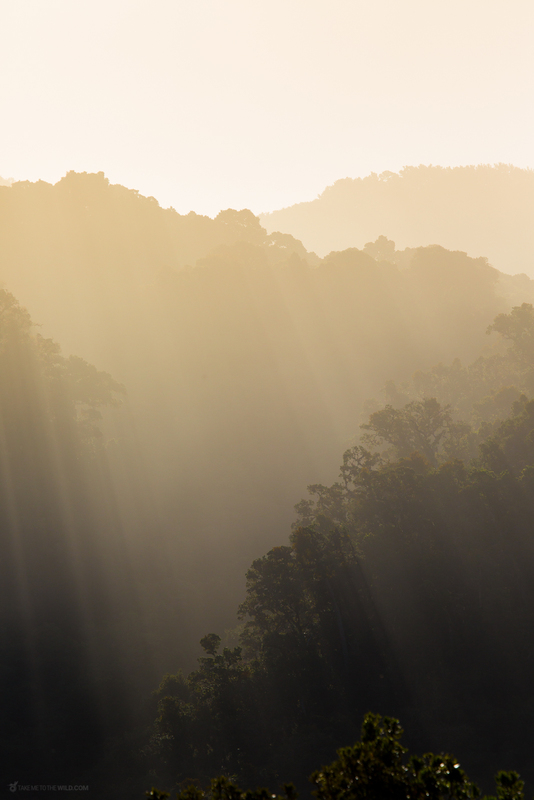 They are nature’s “water towers,” providing billions of gallons of fresh, clean, filtered water. 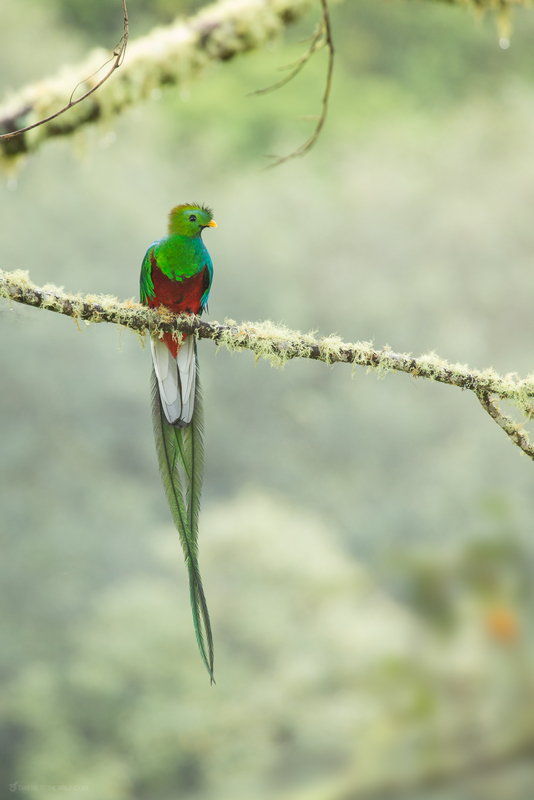 One of the best places in the world to observe and photograph the Resplendent Quetzal is San Gerardo de Dota, surrounded by the towering Talamanca mountains near Parque Nacional Los Quetzales in the highlands of Costa Rica. 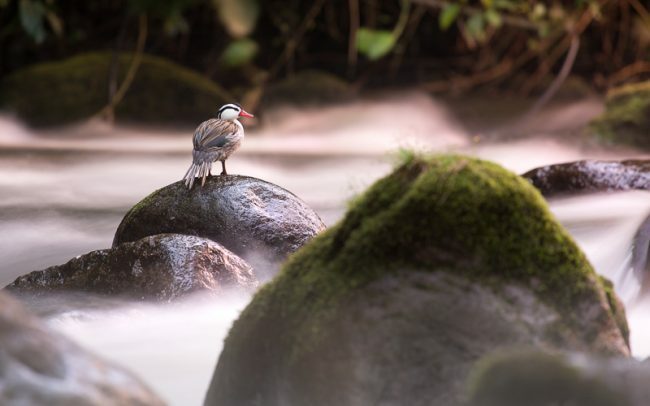 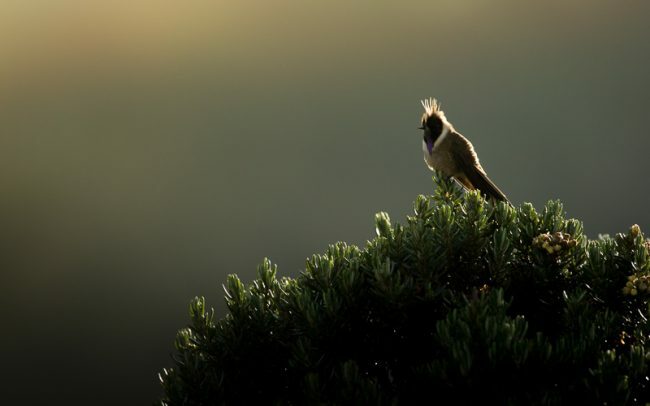 The birds can be seen all year long, usually perching near trails or the side of the road at the early hours of the morning. 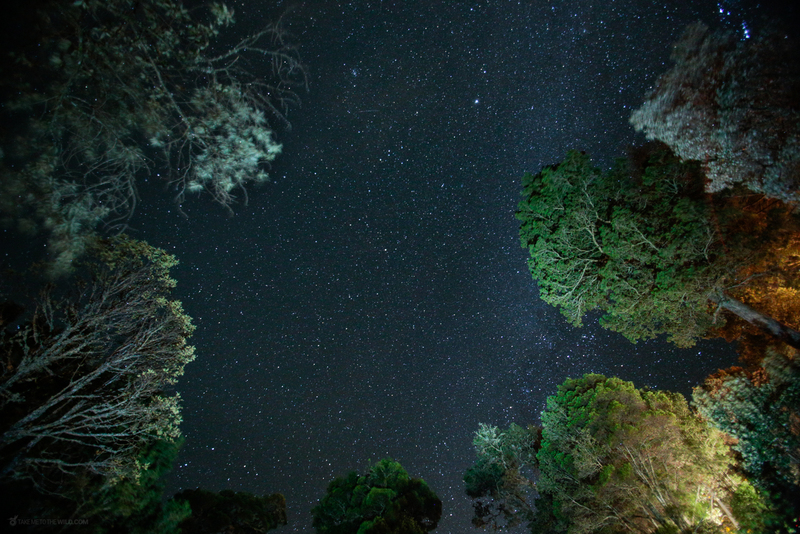 And after you see it, take a deep breath, savor the air, smile. 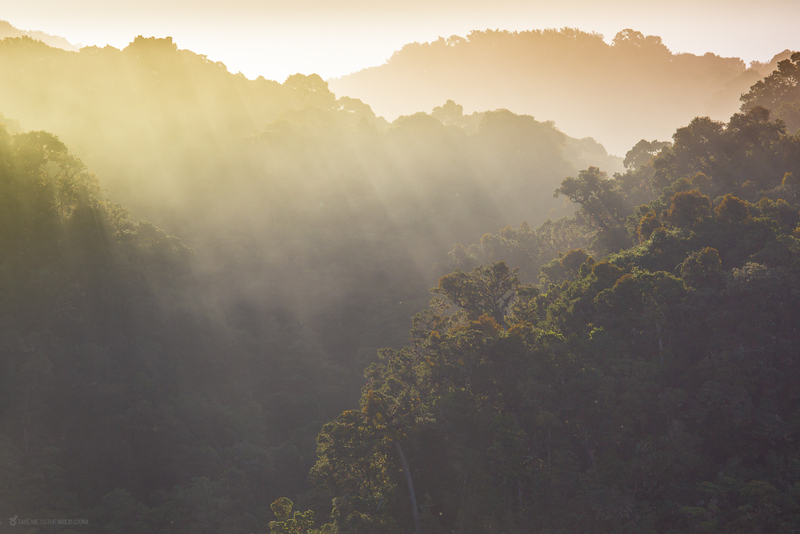 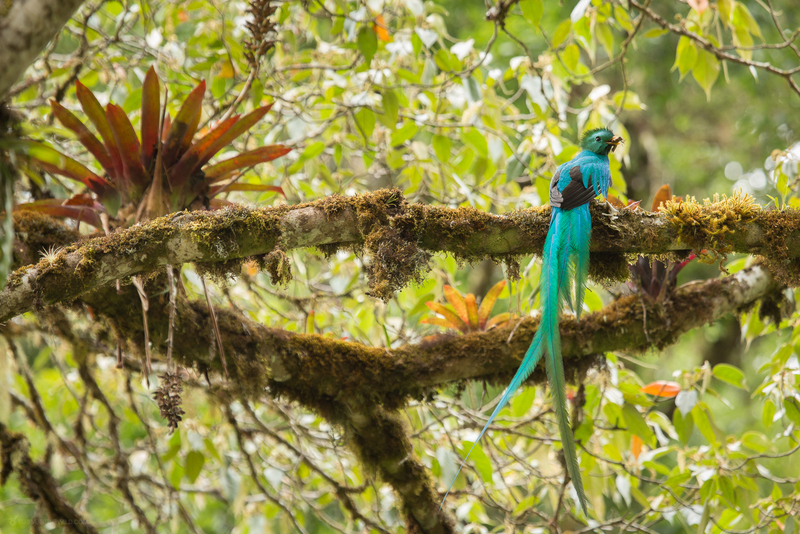 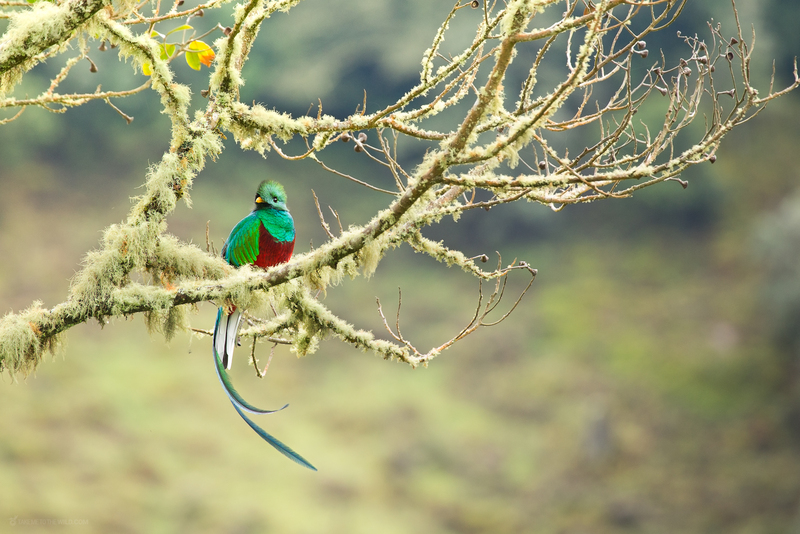 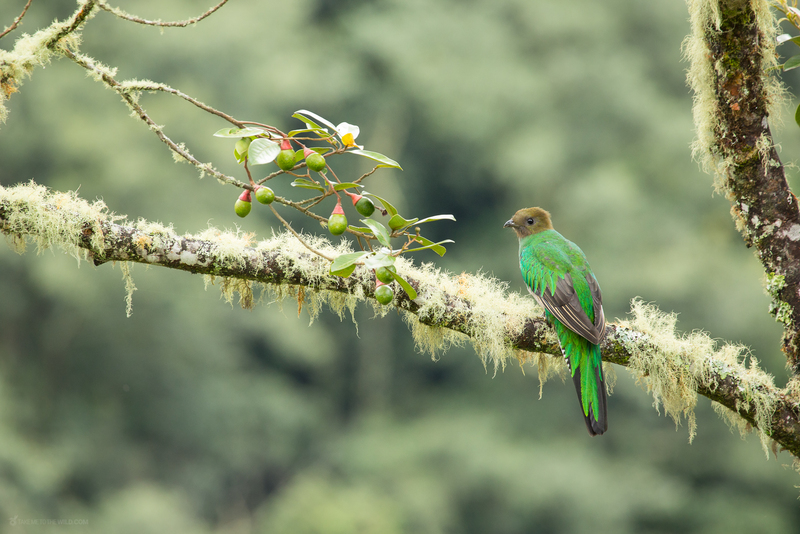 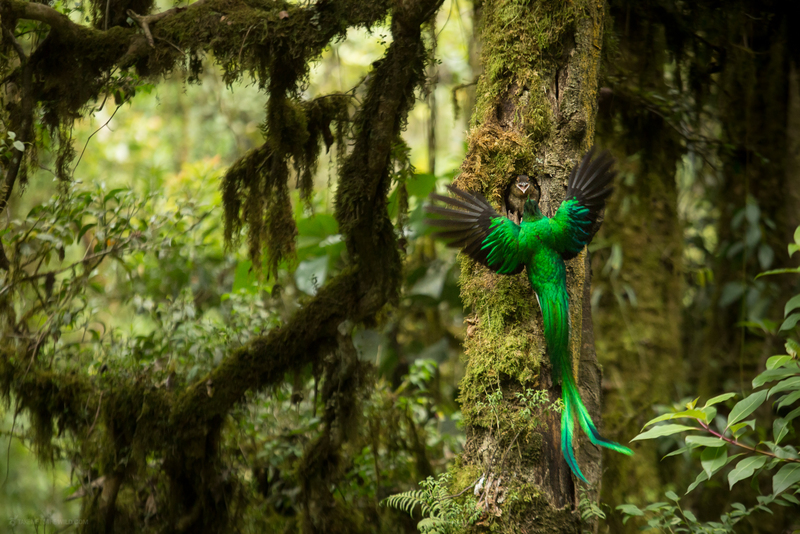 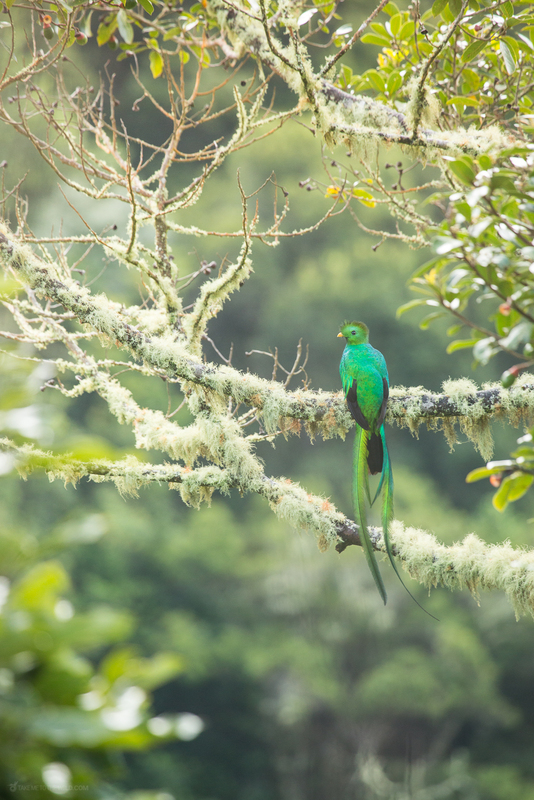 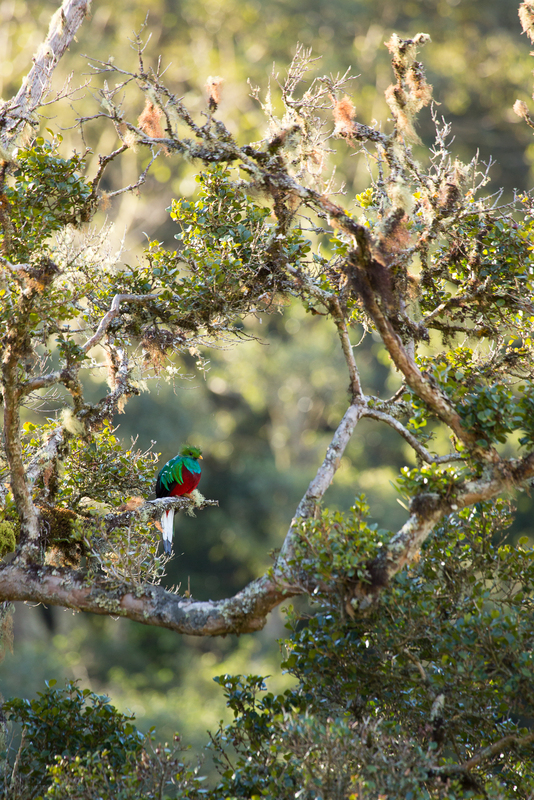 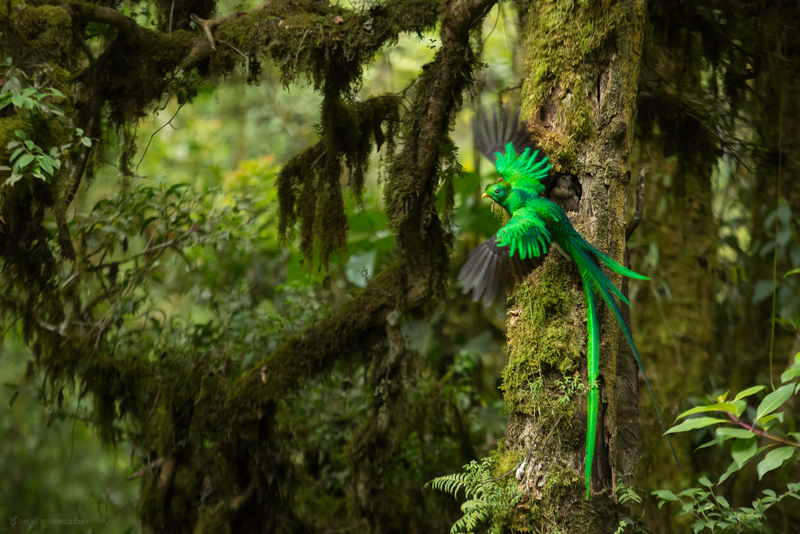 The Resplendent Quetzal and the incredible forests that are their home.